Creating picture perfect smiles in our picture perfect location! Welcome to Spring Lake Dental Care! Our goal is to treat each patient as if he or she were a part of our own family. We believe that great dental care is about more than just treating the teeth and gums, which is why complete comfort and care for our patients are our top priorities. At Spring Lake Dental Care, we make it a priority to provide comprehensive, expert dental care in one convenient location. Our dental team includes board-trained professionals who are skilled and experienced in numerous specialty aspects of dentistry. 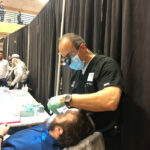 With a full range of advanced options available right here under one roof, it is often not necessary to refer patients to other practices for the treatment they need. Whether you are considering routine dental care, cosmetic treatments to completely renew your smile, or complex restorative dentistry to improve the health and function of your teeth and gums, the team at Spring Lake Dental Care is dedicated to achieving your goals. We look forward to being your dental home! 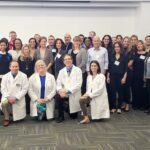 New Jersey dentists were asked who of their fellow dentists they consider New Jersey’s best practitioners. Dr. Peter Ciampi has been honored with the Top Dentist distinction for the fifth time in the past several years..
Dr. Ciampi has been featured in the magazines shown below. Our cosmetic dentist, Dr. Peter Ciampi, is committed to providing the highest quality dental care using the latest technology. Dr. Ciampi has been selected by his peers as a New Jersey Top Dentist in New Jersey Monthly magazine and holds a special permit in Sedation Dentistry by the State of New Jersey. When you come to Spring Lake Dental Care, you will find our office relaxing and our staff warm and friendly - we treat our patients like family. With a soothing chair-side manner, our general dentistry and cosmetic dentistry staff in New Jersey will take the time to answer any questions you have. We offer the most modern, natural-looking options available, from teeth whitening to porcelain veneers and dental implants. Spring Lake Dental Care has the expertise and support all dental patients deserve. Whether you seek a dazzling new smile or would like to schedule exams and cleanings for your whole family, we can help! I have historically hated the dentist… Dr. Ciampi and staff have simply turned that around for me. Highly recommend! The office is impeccable and the staff is wonderful. Dr. Ciampi is incredibly competent and explains everything clearly. I wish I could give a higher rating then 5 stars. What Makes Dr. Ciampi a Top Dentist in New Jersey? His compassionate approach to care. Dr. Ciampi believes patients should have the best possible experience, and that includes providing a caring, attentive atmosphere at our practice. The honors and achievements earned over his many years of service. In addition to NJ Monthly Magazine’s Top Dentist recognition, Dr. Ciampi has been honored with the Top Dentist Open Care 2015 Patients’ Choice Award and has attained Mastership Status in the Academy of General Dentistry. 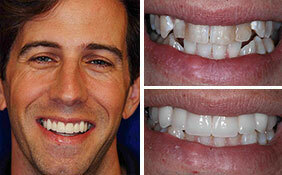 The beautiful results that Dr. Ciampi routinely produces! Take a look through some of our Smile Galleries below to see the outcomes achieved by our wonderful patients. the highest quality dental care using the latest technology. Porcelain Veneers can fix dental cracks and imperfections for a radiant transformation that can help you achieve the smile of your dreams. 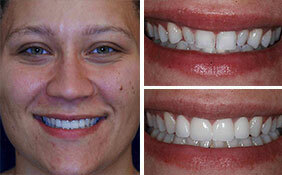 Teeth Whitening can beautifully enhance your smile. We offer a number of different teeth whitening solutions to help your teeth glisten. Whether you need a single tooth or multiple teeth replaced, our experienced team can use dental implants to help restore the look and function of your teeth. Cosmetic bonding can improve a range of dental imperfections, including stains, chips, and gaps, with natural-looking results. Plus, this procedure can often be performed in a single office visit. A custom-designed porcelain crown can be placed on a heavily damaged or stained tooth to enhance strength and appearance with results that look and feel natural. Invisalign® clear teeth aligners offer many patients a much more comfortable and discreet alternative to traditional metal braces. A comprehensive smile makeover can address a number of aesthetic and functional dental problems and help you achieve a beautiful new smile.